The DMV LIFE Showcase is an incredible event with many of the Record Labels, Producers, and Power Players from all over the DMV in attendance!!! 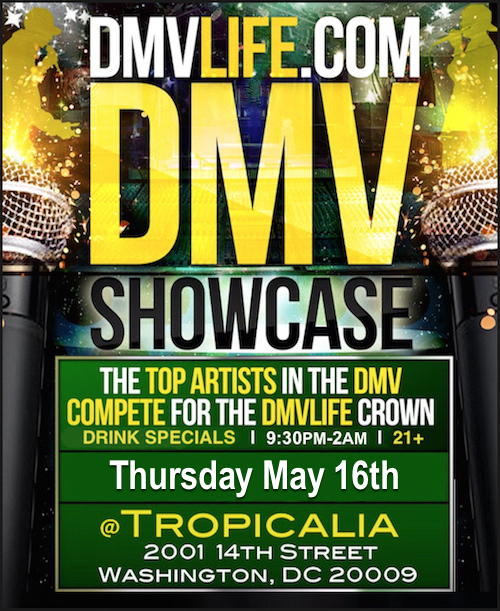 The top DMV artists will compete for the DMV crown!!! Who will win??? SPONSOR: Any companies, record labels, clothing companies, studios, or businesses that would like to sponsor the event, please visit: dmvlife.com/dmvshsp.html. This is a unique marketing opportunity to expand a brand to the DMV and beyond. Purchase your tickets ahead of time to avoid the line. Tickets are $10 ahead of time or $15 at the door. Once you have completed payment your name will be added to the list at the door.